Hi friends this is a blog , created to share the knowledge. Blog post includes , songs , jobs , movies , softwares and many such stuff. If you like the stuff, leave your comment. Owls cannot move their eyes because their eyeballs tubular in shape. A baby bat is called a pup. German Shepherds (dog) bite humans more than any other breed of dog. The animal (insect) responsible for the most human deaths world-wide is the mosquito. The biggest pig in recorded history was Big Boy of Black Mountain, North Carolina, who was weighed 1,904 pounds in 1939. Hydra – an aquatic creature is the only living creature that never die. It regenerates, replacing its cells with fresh ones. Entomophagy is the scientific name for insect eating. There are more than 1,450 recorded species of edible insects. Many species of insects are lower in fat and higher in protein and have a better food-to-meat ratio than beef, lamb, pork, or chicken. Coca-Cola was originally green because of fresh cocoa leaves. Strawberry is the only fruit with its seeds on the outside. All other vegetables must be replanted every year except two perennial vegetables; Asparagus and rhubarb that can live to produce on their own for several growing seasons. There are 366 dimples on a golf ball. There are 318,979,564,000 possible ways to play first four moves, per side, in chess. Playing cards in India are in round shape. Boxing is the only sport in which neither the spectators nor the participants know the score or the winner until the contest ends. The biggest badminton shuttle in the world can be found on the lawns of the Nelson-Atkins Art Museum, in Kansas City. It is 48 times larger than the real thing. This shuttle is 18 feet high and weighing 5,000 pounds. Mao Zedong of China never brush his teeth in his lifetime. When Elizabeth-I of Russia died in 1762, there were 15,000 dresses in her closets. During World War II, the Japanese used shark liver oil in the engines of their fighter planes. J. P Blanchard, a Frenchman, is credited with having been the first person to use a parachute. In 1785, from a balloon high in the air, he dropped a dog in a basket to which a parachute was attached. Blanchard also claimed to have descended from a balloon in a parachute in 1793. Randy Gardner of San Diego is the longest person who has gone without sleep for 11 days in 1965. He broke the record of Peter Tripp of New York, who settled a record of 8.5 days without a wink. Usually right handed people utilize left side of brain for all their conscious, voluntary activities. The women who snore are at an increased risk of high blood pressure and cardiovascular disease than men. An average person eat 60,000 pounds of food in his lifetime. An average person spent 24 years of his life in sleeping. An average woman consume 6 lbs. of lipstick in her lifetime. Sitting while talking on the phone for eight hours will burn 914 calories. Driving a car for eight hours will knock off around 1,219 calories. And standing in a casino for eight hours will burn about 1,402 calories. Bullet proof vests, fire escapes, windshield wipers and laser printers are invented by women. In 1932. Engineer, Harry Jennings, built the first folding, tubular steel wheelchair. The chair was built for a paraplegic friend of Jennings called Herbert Everest. Together they founded Everest & Jennings, a company that monopolized the wheelchair market for many years. Otto Frederick Rohwedder is generally credited with inventing the first automatic bread slicer in 1928. E is the most frequently used letter in English. Gadsby is the only novel (267 pages, 50,000 words) written in 1939 by Ernest Vincent Wright, without the use of letter “E”. Tom Sawyer was the first novel written on a typewriter; by Mark Twain in 1876. Uncopyrightable is the only 15-letter word in the English language that can be written without repeating a letter. The word Set has 464 definitions in the Oxford English Dictionary. The word Run runs a distant second, with 396. The dot over the i or j is called a tittle. The word queue is the only word in the English language that is pronounced the whole for its first letter. The sixth sick sheik’s sixth sheep’s sick is said to be the toughest tongue twister in the English language. Mandarin is most-spoken language in the world, spoken by 1.07 billion people, followed by English, spoken by 514 million. Papua New Guinea have the greatest number of first languages. There are 869 separate languages – not dialects. The world’s first university was established in Taxila (comprised of cities Mohenjadaro and Harappa) Pakistan in 700 BC. There are fourteen punctuation marks in English grammar; Period, comma, colon, semicolon, dash, hyphen, apostrophe, question mark, exclamation point, quotation marks, brackets, parenthesis, braces, and ellipses. The only three English words beginning with dw are; Dwarf, dwell and dwindle. There are currently 6,912 living languages, defined as languages that people speak today. The war between England and Zanzibar in 1896 was the shortest war in history, lasted only 38 minutes. Monumental Axis in Brazil is the world’s widest road. 160 cars can drive side by side at the same time. The Central Railway in Peru is the world’s highest railway. It climbs to 15,694 feet in the Galera Tunnel. Australian $5 to $50 notes are made of plastic. 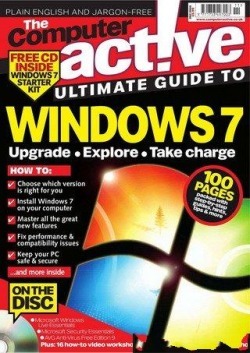 This complete 100 page guide will provide you with everything there is to know about Windows 7. Find out how you can get started – what’s new in Windows 7, which version you will need and how you get it. Our easy step-by-step guides will show you how to prepare your PC for Windows 7 and install it yourself. 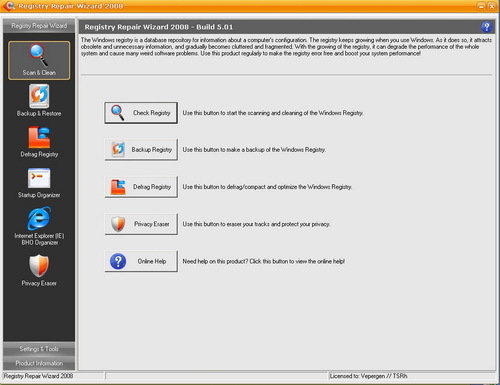 We also explore Windows 7’s new desktop, teach you how to search for files and make sure your PC is safe. You can also discover how to join a network, burn CDs and DVDs, use the Media Center, Live Photo Gallery and more. Plus with our maintenance and troubleshooting tips, keep Windows 7 running smoothly – learn how to solve upgrade issues and fix performance problems. 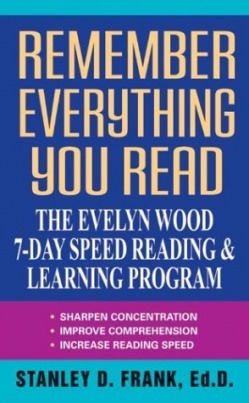 have reaped the rewards of the famous Evelyn Wood Speed Reading and Learning Program. All the secrets of this amazing system are now available to you in this book. Double your reading speed in a wee Soar beyond — to read an amazing 1,200 to 3,000 words per minute — and remember everything you read! Macworld’s team of experts have used their knowledge of Apple’s revolutionary products to create a straightforward guide to getting started with Apple’s groundbreaking new communications and entertainment device, the iPhone. 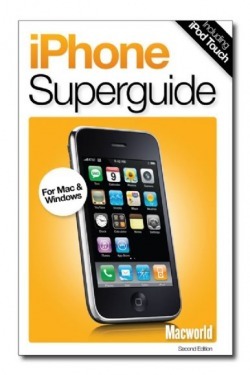 This book covers all you need to know about the iPhone, for Mac and Windows users alike. This 90-page book gives you in-depth information about using your iPhone, including power tips and tricks about its revolutionary Internet features, its complete built-in iPod functionality, and more. You’ll learn the optimal strategies for converting your DVDs into movies playable on the iPhone, as well as Smart Playlist techniques to make the most use of the iPhone’s limited storage capacity. There’s also vital troubleshooting advice and a tour of the best in iPhone accessories. Let Macworld’s team of Apple experts show you how to get the most out of your iPhone. 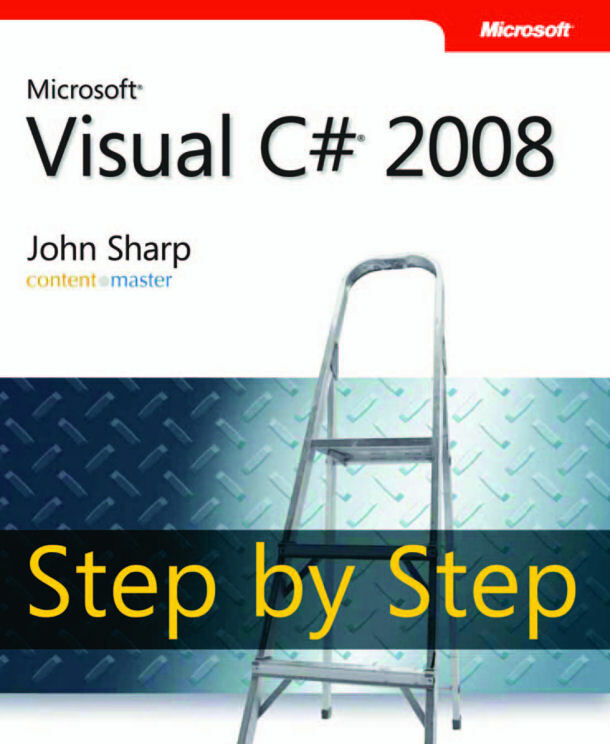 This book is aimed at professional developers with some previous programming experience. Basic knowledge of either C# or VB.NET is an advantage, but not essential. 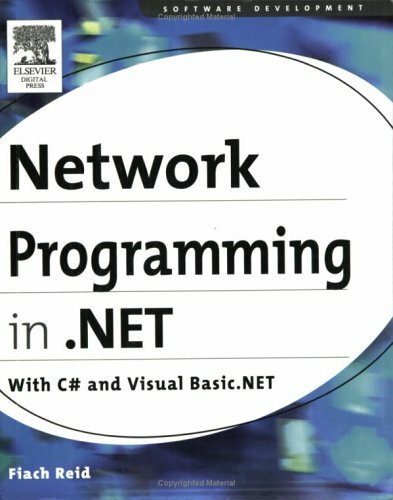 This is not a beginners guide to .NET, and as such it is assumed that you already know basic programming constructs such as if statements and loops. 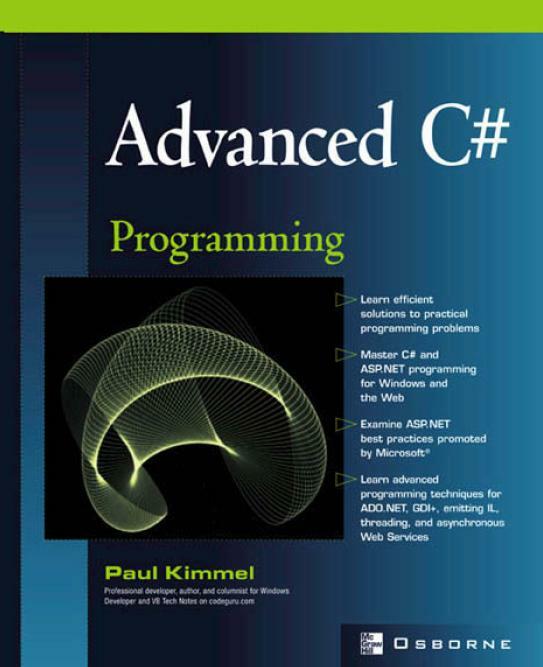 This advanced resource is ideal for experienced programmers seeking practical solutions to real problems. Discover valuable coding techniques and best practices while learning to master Microsoft’s newest cross-platform programming language. This definitive guide will show you how to expertly apply and integrate C# into your business applications. Create user controls, special effects text, dynamic user interfaces, custom attributes–plus, you’ll also find reliable security and authentication methods. This blog is for science facts of all types.